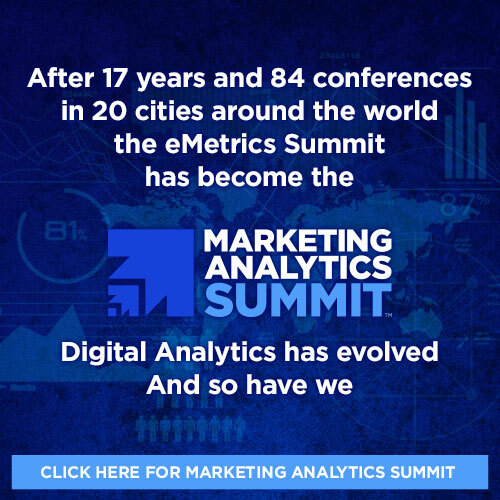 Sponsorship Packages for the eMetrics Summit are designed to maximize your exposure across the website, printed materials, signage, and in-person visibility to an engaging, influential and forward thinking audience. The packages allow you to select the most effective opportunities to promote your company to the entire audience and/or to a specific conference group. *Corporate members of the Digital Analytics Association automatically receive a 10% discount on all sponsorship options. Interested in putting your publication, association or other media in front of leading web marketing and ecommerce decision makers?